After the call deadline, submitted proposals are assessed on the basis of eligibility, selection and award criteria. 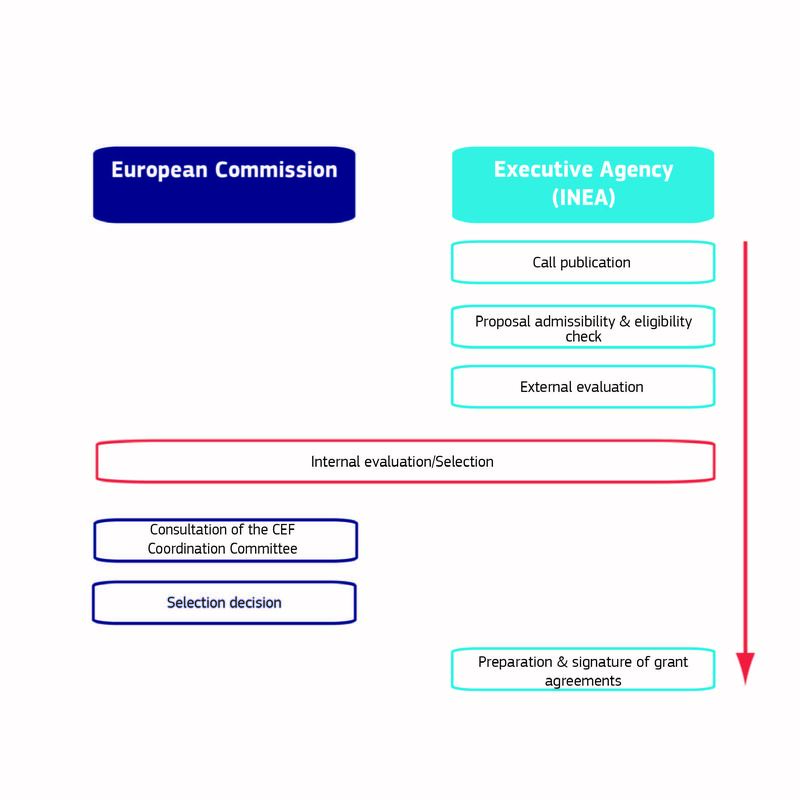 INEA carries out the evaluation of the eligible proposals, supported by independent experts. Once the list of proposals recommended for funding is formally approved by the Commission, successful applicants are invited by INEA to prepare and sign individual grant agreements. INEA then works closely with the beneficiary on the technical and financial project implementation. For more information, please consult the individual call pages. 1. CEF Telecom Guidelines: Regulation (EU) 283/2014 of the European Parliament and of the Council of 11 March 2014 on guidelines for trans-European networks in the area of telecommunications infrastructure.